While many Koreans, especially the younger ones, know about the zodiac we use in the west, you know the one with Capricorn, Taurus etc. they are more likely to follow the Chinese horoscope if they were to get their fortune told. When asked about your ‘sign’ in Korea it may actually be less about your horoscope and more of a way to help judge your age, since the Chinese zodiac signs are based on year of birth not month. The age of people in a group setting is important so you can work out such things as the hierarchy within the group and who is actually your ‘chingu’, traditionally a friend with your same birth year, although nowadays some Koreans accept people within a year or so of their birth year as being a friend. For most people this chart works out, but if you were born in January or February you need to check when the Chinese New Year fell the year you were born to accurately work out your sign. I was born in January so actually fall under the sign for the previous year. Astrology (a belief) is totally different from astronomy (a science). Although Chinese astrology has been around for thousands of years and uses a very complex system of calculations based on such things as the positions of the major planets, the sun, moon and comets as well as place and time of birth and zodiacal sign scientists do not consider it to be a science. For those who choose to believe in astrology there are still many people who are willing to tell your fortune and future both online and in person. 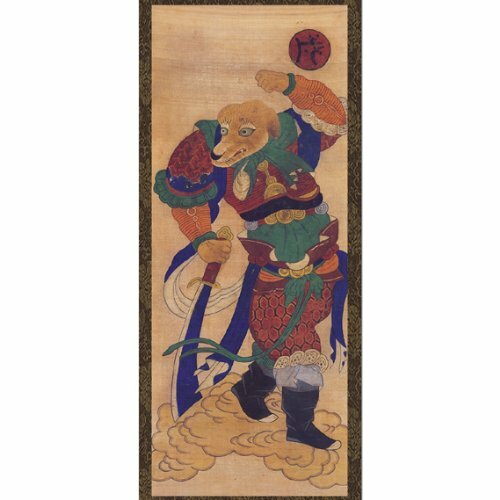 Chinese astrology is also connected to Chinese philosophy, the theory of 3 harmonies-heaven, earth, and water, as well as to the Yin and Yang duality of the Universe. Although many westerners see Yin and Yang as being opposites, in many ways they are complimentary to each other, with darkness v lightness for example, instead of thinking that they are opposite to each other try to appreciate that the dark makes the light lighter and light makes the dark darker, so together they are better than each is alone. Yin is the earth, female and passive, Yang the sun, male and aggressive. As an old saying goes, “for every advance there is a retreat, for every rise there is a fall.” This is a hard way for many to see life, that you need the bad to appreciate the good, but this is crucial to an understanding of much of Chinese philosophy. In Korea many people still get their fortunes told before making big decisions like getting married, or making a financial or career choice. The 12 animals in the zodiac are guardian deities called Sibijisin or gods of the earth. You can see statues of these animal deities at many temples and historic sites throughout Korea, and people line up to take photos with their zodiacal animal. There are other methods of fortune telling in Korea, including some shamanistic ones, and even some introduced western ways such as Tarot card readings. I guess we all occasionally wish we knew what our future will be. 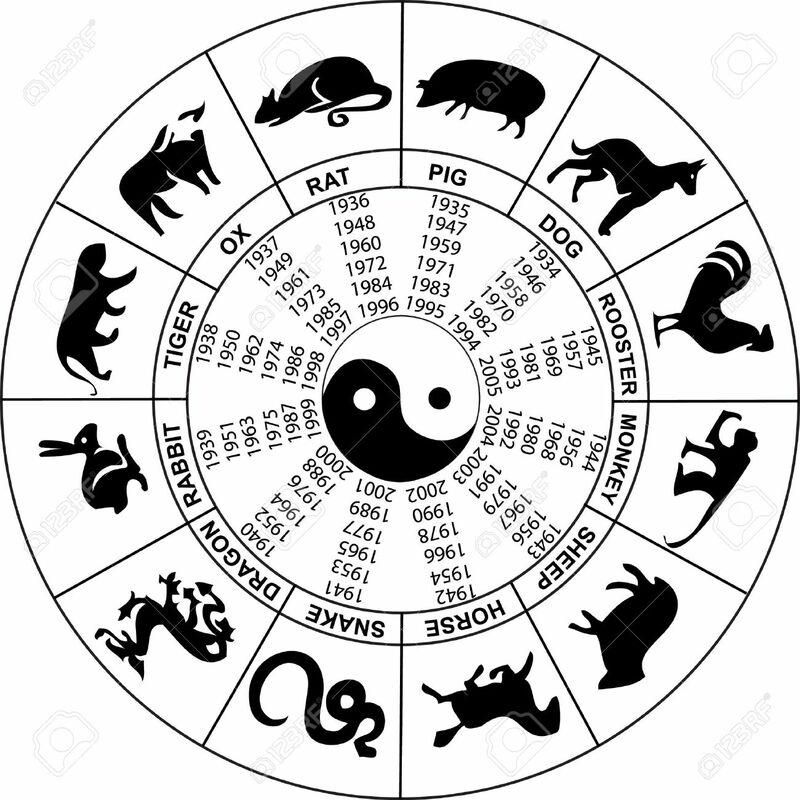 The Chinese zodiac of 12 earthly branches (the 12 animal signs) is only a part of a 60 year cycle, the current one of which began in 1984. The 60 year cycle is also broken down into 10 heavenly stems, so just knowing your animal sign is not enough for a proper fortune telling. The 12 animals are the Rat, Ox, Tiger, Rabbit, Dragon, Snake, Horse, Goat, Monkey, Rooster, Dog, and Pig. Sometimes, however, you will see them called slightly different things, such as Bull instead of Ox, or Chicken instead of Rooster. 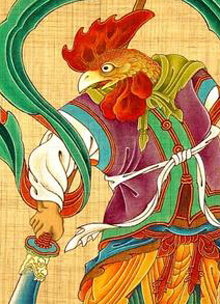 In the case of a Rooster becoming Chicken, or Ox becoming a Cow this can be because the year is a Yin, therefore female year. 2017 was the year of the Red Fire Chicken since it is a Yin year, it was also a ‘metal’ year. The Year of the Dog, (Feb. 16th 2018 – Feb. 4th 2019) was an Earth and Yang year. For me this was a special year as an Earth Dog year only happens every 60 years and this was the second one for me, unfortunately your birth animal years tend to be a bit unlucky as you are said to have offended the God of Age. For most people though a Dog year is a middling type of year, with both ups and downs. This year will start on Feb. 5th and will be The Year of the Pig. The pig is the 12th and last of the zodiac 12 year cycle. It is a Brown, Female, Earth, Pig year. I saw one writer describe it as a ‘dirty, muddy, pig year’. Others are calling it the Golden Pig Year. The year of your animal sign is usually unlucky so if you were born in 1995 or 1983 you may want to be extra careful. But remember these attributes are also impacted by multiple other things such as if you were born in a metal, wood, water, fire, or earth year etc. I’ll post a chart for some years in part 2. There are a couple of stories as to how the specific animals were chosen. The first is that Buddha invited all the animals in the world to come and visit him, but only 12 showed up. He decided to honor them by placing them in the zodiac in the order in which they arrived. The other popular story is that the 12 animals challenged each other to a race across a river. The Ox would have won, but secretly the rat had climbed up on his head, and just as the Ox was about to reach the other side the rat leaped to shore first thereby winning. In Korean before the western method of time keeping, each day was broken down into 12 two hour segments. Each of these was named after a Sibijisin or guardian animal, as in the zodiac. So for example the time between 11 pm and 1 am was Jasi as it was believed the rat/mouse was most active at this time. Look for an upcoming post for more about the Sibijisin. Have a great day everyone, and keep an eye out for future posts. Part 2 can be found here. Photo credits to original owners. Zodiacs, Rooster, and Dog from Pinterest. You may also enjoy Beolcho: A Korean Tradition Of Maintaining Ancestral Grave Mounds. ← Seollal: Korean New Year.